As the owner of a personal pension, you now have many more options on how you use your pension fund to meet your needs and objectives. We do feel it is important that you take a long term view of this money. It might be fine for Lib Dem Pensions Minister Steve Webb to say the Government don’t mind if you blow it all on a Lamborghini, but not having enough money to feed yourself properly or keep your home warm when you are an elderly pensioner are serious issues you should consider. Traditionally whatever was left in your pension fund after the tax free cash lump sum was locked up in some way and your money was slowly returned to you in the form of an income. Customers did, and still do have, a number of products open to them to provide a guaranteed income for life, but from April 2015 they will also have the option of taking as much or as little from their pension fund as they wish. While in theory this means you could take all of your fund in one lump sum, we believe many customers won’t do this, not least because it will push them into higher tax rates. While we will discuss all your options below, we believe that most customers will adopt the following strategy with their pension. 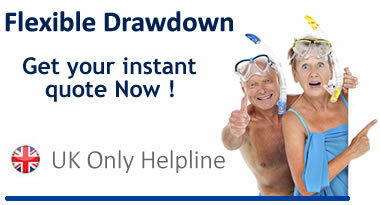 After taking their 25% Tax Free Lump Sum they will place the remaining 75% into a income drawdown fund. This fund will allow them to take money from it, but it will also remain invested and so has the potential to grow. Remember any money you take from the remaining 75% sitting in the drawdown fund will be taxed as earned income. We believe that many customers will try to take a small regular income, not dissimilar to the current income limits that exist within drawdown. They would hope that the income they take is replaced (or partly replaced) by growth they achieve on the fund. While growth cannot be guaranteed we do have customers on our books who have for several years taken an income they are happy with from their fund and not only replaced it, but also achieved some growth. The customer will always have access to the fund, so if an emergency occurs or they need to take a single lump sum they can still do this. When they die any money that is still in the fund will pass to their spouse, partner or estate. The treatment of the fund will vary depending on who receives the death benefit. See Income Drawdown Pension Death Benefits. We hope you find our Pension Lump Sum Calculator useful. We constantly aim to improve the services we offer customers. If you have any feedback please don't hesitate to contact us. Call 020 33 55 4827 Now ! !